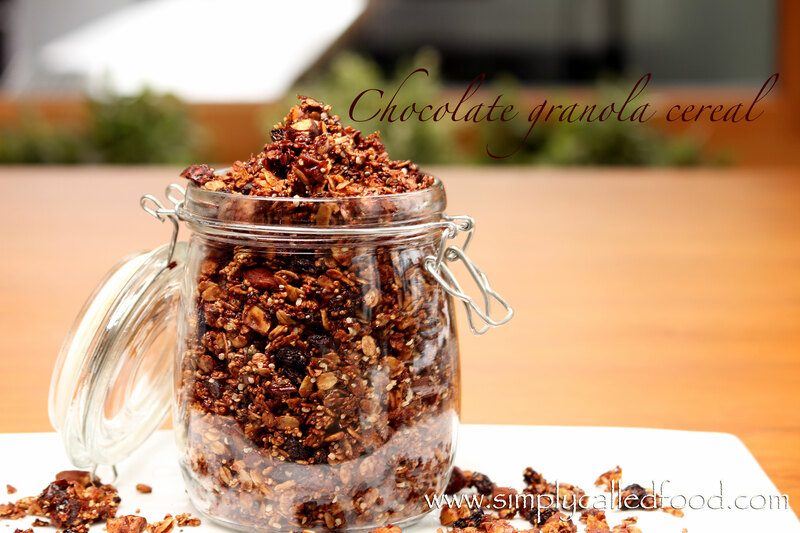 Chocolate granola cereal | Simply called "Food"
I’ve been blogging for a year now. When I first started, I just wanted to share my recipes with some people. I didn’t really have a goal, no photography experience. Now my goal is to give alternatives to meat to reduce our environmental impact and improve our health, make you discover food, spices, herbs… and more important, have fun in the kitchen. Today, I made a cereal recipe. Breakfast is always a challenge. You want a variety,if you want healthy food to start the day and sometimes organic cereals can be pricy. By making them, you reduce the cost and increase the quality. In a medium bowl, combine the oat flakes, the cocoa powder, the cinnamon, the amaranth puffs and the salt. Add in the chopped hazelnuts, the, chopped almonds, the chopped walnuts, the raisins, the dates, the melted coconut oil, the maple syrup, the vanilla and the lemon zest. Mix until it’s all well blended. Put a parchment paper on a cookie sheet, and spread you mix evenly. Cook it in the oven for about 45 minutes. Mix every 15 minutes. When you remove it from the oven, add the chia seed, the hemp seeds and the chocolate chunk. I add it at the end so they stay raw and keep all their nutrients. Let your cereals cool before storing them. Tags: Chia, Chocolate, Chocolate chip, Food, Fruit and Vegetable, Gluten free, Grains, Hemp seeds, Maple syrup, Nuts, Oatmeal, Recipe, Seeds, Snacks, Vegan, Vegetarian, Walnut. Bookmark the permalink. Seriously, this looks so yummy! Come live in my kitchen please! 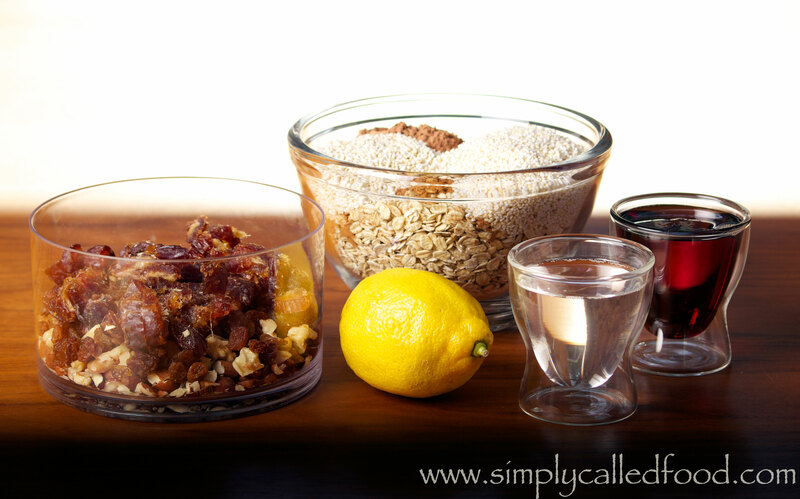 What a super yummy idea for a homemade cereal! You have such great ideas for the kitchen! Love it!! Hope you will like them! They are very chocolaty!